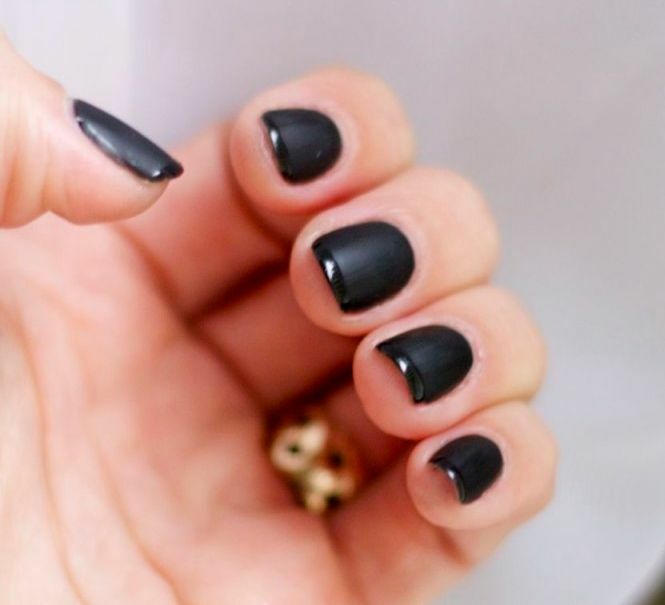 Classic, delicate and timeless, the most popular choice among the women who go to the salon for a manicure is the French girl. 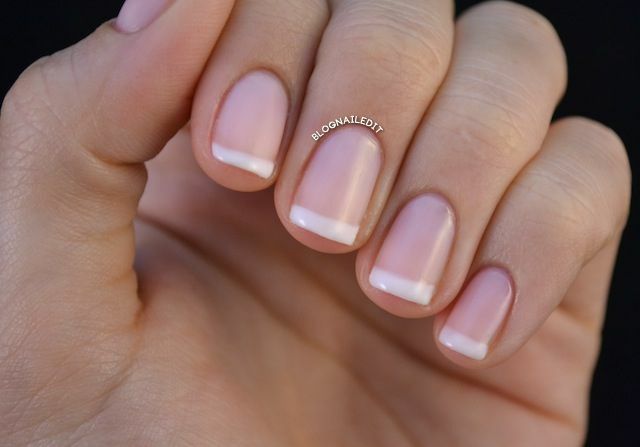 The pale style with a white band only at the tips of the nails remains successful and today brings a greater variety for those who prefer stronger colors. Currently there is no rule for the concept: there is the traditional, the two lines and to the reverse and they can be decorated with various colors and textures enamel. According to manicure Marcia Marinho da Costa, National Esmalteria Vila Olimpia, Sao Paulo, the colored version is a technique of derivation, known as English girl. Being traditional practice, the nail with francesinha matches any time. From formal parties until the ordinary day of women. 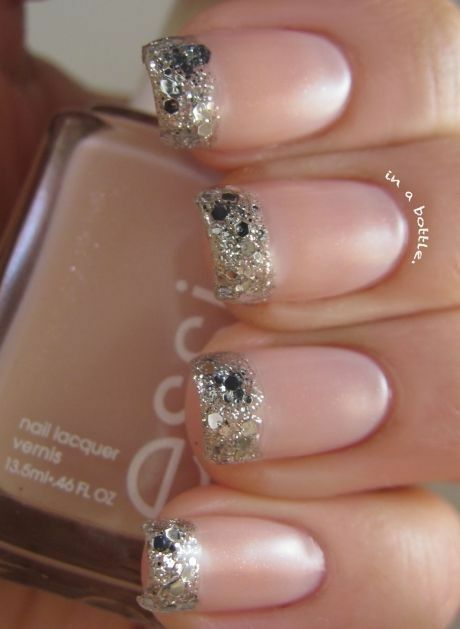 Besides being a great nail decorated option for brides. 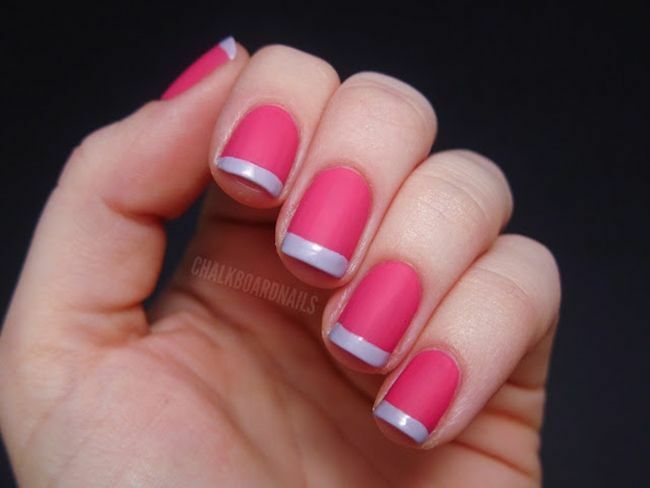 Besides, who finds it difficult to make the perfect trait can choose another technique for joining nail art: with stickers and stamps made of enamel itself, for example, is much easier to hit the drawing. 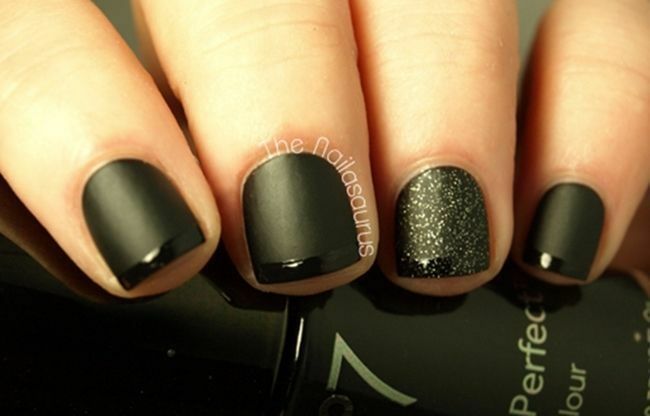 There are several ways to make her beautiful and ready for any occasion nail. Finish with a top coat to ensure the durability of the enamel. For those who have trouble hitting the dash, worth trying the help of an adhesive. Today, the main enamel brands sell a set of own bumper French girl, but if you prefer, adopt the technique "do it yourself" (do it) and cut tape to the correct size for your nail. 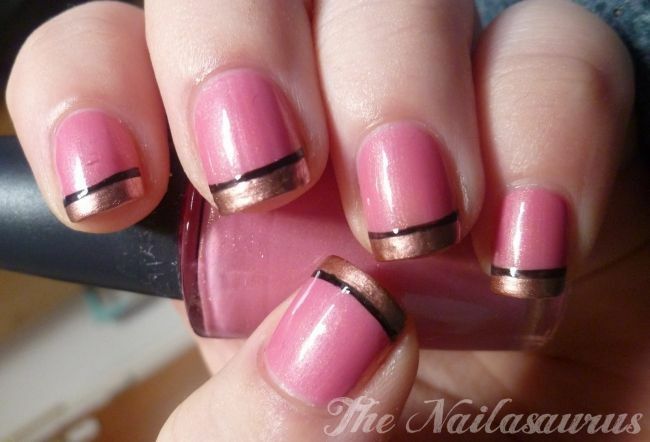 The idea is that it accompanies the nail tip of the format, to be stuck in it, with the width of your choice. 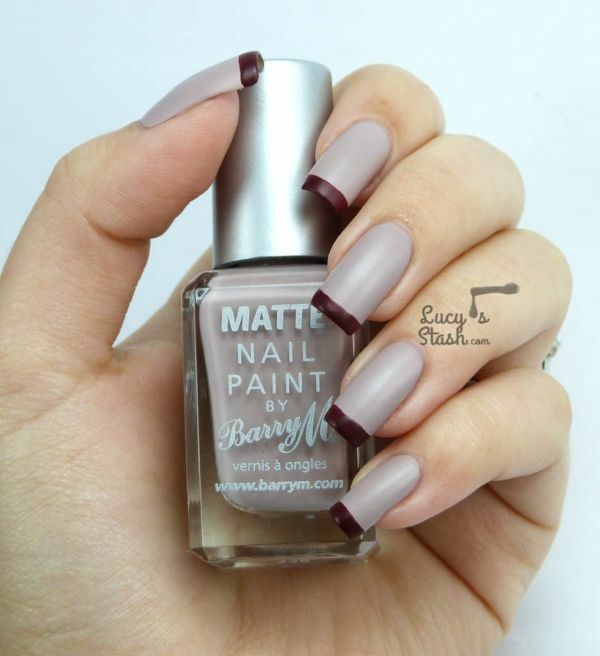 Paint everywhere between the adhesive and the tip of the nail and apply as many layers as necessary. Remember that the nail should be completely dry as it ensures greater adherence of the adhesive and allows the glue is taken without damaging the enamel. Another practical and fast technique is simulating a stamp. 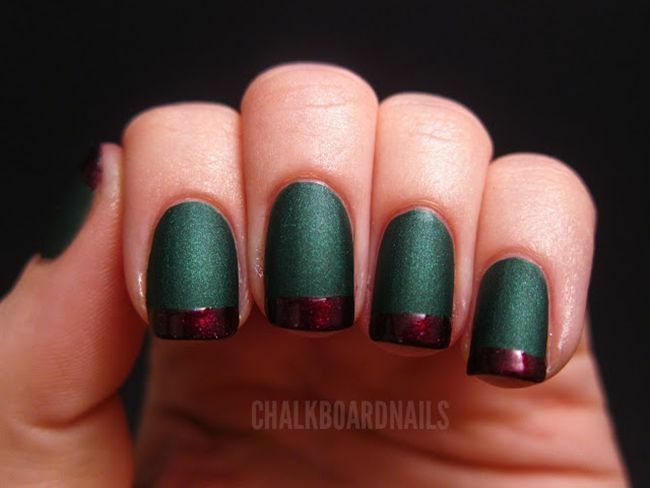 Brush a color enamel amount chosen for the band at the tip of a thumb, so that it forms a small reserve, and "stamp" the tip of nails therein. A derivative that is making the head of women is the reverse French girl. The technique can be used both as adhesive by hand, just change the place range: the tips of the nails, she goes to the nearest cuticle area. It is a way to innovate without abandoning much of the original practice. If you choose the English girl, choose a darker color as the basis for the trait. Thus it will not take many enamel layers to achieve a good pigmentation. 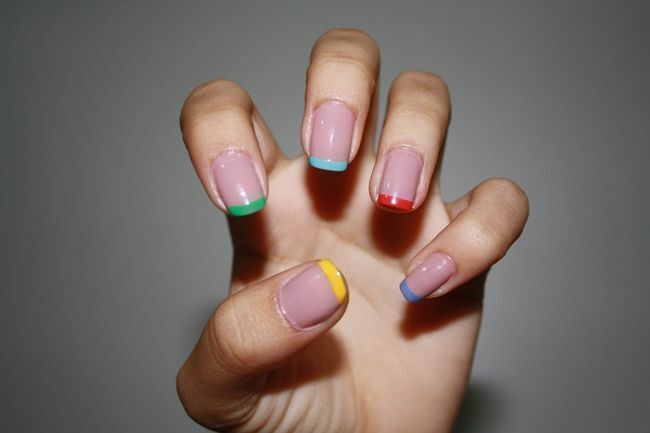 The most modern women can use and abuse of nail art derived from traditional French girl: the colored version, also known as English girl. It is mixed shades, colors and even different textures. Just combine two enamels and adopt the relaxed result it proposes. 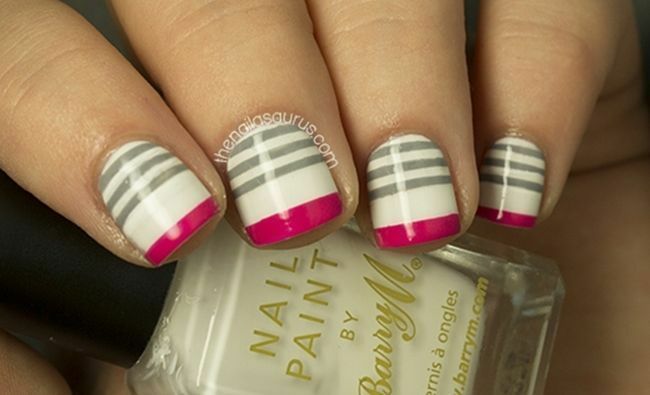 Be inspired by the pictures below and modernize your nail art French girl! Di mana untuk menghabiskan bulan madu? Mengambil kuiz dan mengetahui!